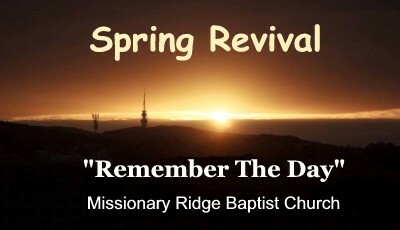 Come join us at 6:30 pm each night as we "Remember The Day" with Pastor Brandon Ware as our guest speaker each night. On Saturday there will be a free BBQ Meal for the Community beginning at 5:00 with service starting at 6:30! Special Singing each night!